First things first, go and WATCH THIS VIDEO! His words are not to be taken lightly , neither can he be confused with other famous names in the design world… He does not say or do the irrelevant, the unnecessary, or the fantastic. He’s a designer with a collective experience that surpasses groups of young designers put together. Just now his work is being published in a way it deserves. 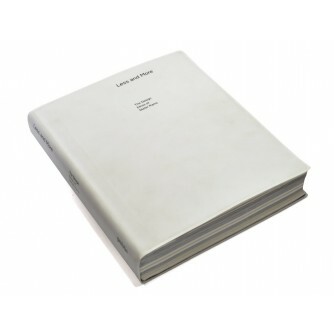 Later this month the amazing publisher Gestalten books is releasing Less and More The Design Ethos of Dieter Rams. It looks awesome, and I can’t wait to get my hands on a copy. What bothered me was that after these principle spread all over the internet, is the fact that I’ve had an idea of a poster in my head, even though it was a simple personal project, I never got around to finalizing it. But I did however post how I had those unfinished posters of the ten principles on the walls of both my room and the office. Later I see that Bibliothèque an amazing design studio was commisioned by Vitsoe to do that poster for the ten principles, and it looks good, based on a very well-thought of grid, and photographs and color palette that really feel like dieter rams’ work. I liked it even though it made me hate my self for not doing my idea. Have an Opinion Why Don’t You! After that i begged asked everyone to join and be active for a change, because commenting is easy on last night’s dinner party, or what degree of bronze a friend’s tan is, or even how good a girl looks on that pixellated-under lit-excuse of a photo she took of herself in the bathroom! I agree somehow on what you’ve written, but dont you think you might have patronized non-design oriented people by branding them as ” simple-minded people”? plus werent everything created in couples? extremes might be appreciated! maybe it’s not the era! 80s for example. further, didnt you over complicate the description trying to over simplify it? am not attacking, dont get me wrong, just merely contributing, hence the request! How simple is simple really!? Now it turned into the start of an actual debate between “designers” and “non-designers” if i can call them that! Instead of me now caring about the group i started wondering why the hell people aren’t that interested in almost anything interesting?